138 mins shot in one fluid, continuous take, Victoria pulls the audience into a vivid and wild, uncontrollable night out in Berlin. 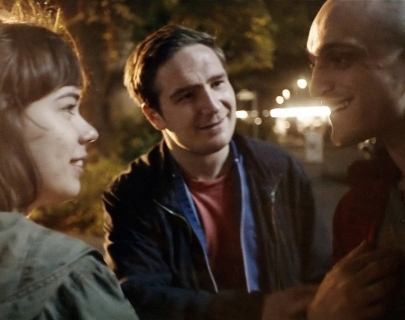 Four young Berliners meet Victoria, a young Spanish woman newly moved to Berlin, outside a club, and romance kicks in. They stumble through the night, drinking, dancing, flirting, until they are forced to commit a crime and events spiral out of control. Winner of the Silver Bear for Outstanding Artistic Achievement at Berlinale 2015, Victoria is a breathless, visceral thrill-ride of a film.